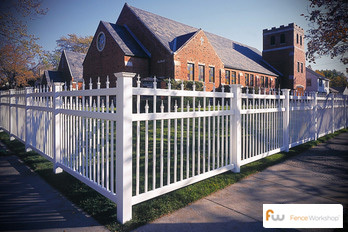 Fence Workshop™ of Athens, GA is a local fence company and leading supplier of vinyl fences and gates. We supply vinyl/PVC picket, privacy and post and rail fencing for residential and commercial customers in and around Athens, Georgia. Athens is a beautiful city from the prominent University of Georgia to the historic and entertaining downtown. From bicycle races to football games, Athens is a lively city that we are proud to build quality fences in. Vinyl fencing is one of the longest lasting and most aesthetically pleasing fencing options available. While most of our vinyl fences are white, they are also available in brown and off white colors. If you’re looking for a professional Athens fence company to supply a vinyl fence for your home or commercial project, we want to be your go-to fence company. 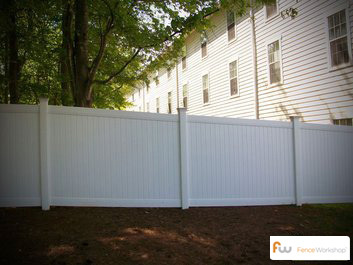 Why choose Fence Workshop™ for vinyl fencing in Athens, Georgia? 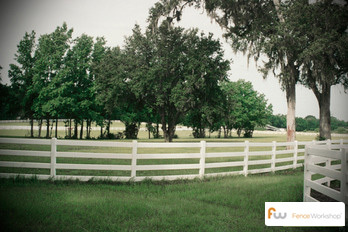 Chain Link Fences In Athens, GA.
Farm Fences In Athens, GA. Steel Fences In Athens, GA.
Wood Fences In Athens, GA. Aluminum Fences In Athens, GA. Fence Materials In Athens, GA.